Central Contra Costa Sanitary District is a utility dedicated to protecting the public health and the environment by collecting and treating wastewater and returning clean water to the environment. Central San is working to meet the wastewater collection and treatment needs of the community while solving critical water pollution and water resource problems. Through a comprehensive pollution prevention effort, a safe disposal program for toxics and the growing use of recycled water, Central San protects the environment and our precious water resources. 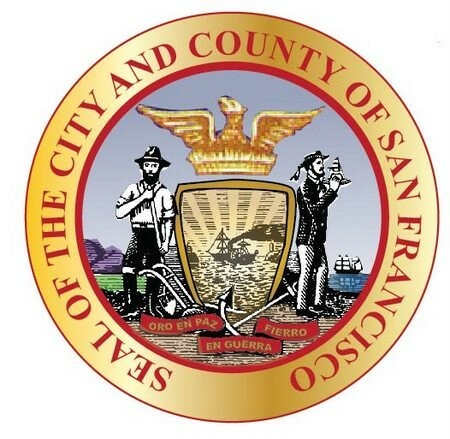 The San Francisco Public Utilities Commission (SFPUC) is a department of the City and County of San Francisco that provides water, wastewater, and municipal power services to San Francisco. Under contractual agreement with 29 wholesale water agencies, the SFPUC also supplies water to 1.6 million additional customers within three Bay Area counties. The SFPUC system provides four distinct services: Regional Water, Local Water, Clean Water (wastewater collection, treatment and disposal), and Power. The clean water system provides the City with wastewater collection, treatment and disposal. The wastewater collection, treatment and disposal system consists of a combined sewer system (which collects both sewer and storm water), three water pollution control plants and effluent outfalls to the San Francisco Bay and Pacific Ocean. The combined sewer system reduces pollution in the San Francisco Bay and Pacific Ocean by treating urban runoff that would otherwise flow to the Bay and Ocean. The collection system consists of approximately 900 miles of underground pipes throughout the City. The SFPUC treats and discharges approximately 84 million gallons per day of treated wastewater during dry weather to the San Francisco Bay and Pacific Ocean. During wet weather, with additional facilities and increased operations, the plants can treat approximately 465 million gallons of combined flows per day. Working with our community to conserve natural resources and safeguard the environment for future generations. The San Jose/Santa Clara Water Pollution Control Plant is one of the largest advanced wastewater treatment facilities in California. It treats and cleans the wastewater of over 1,500,000 people that live and work in the 300-square mile area encompassing San Jose, Santa Clara, Milpitas, Campbell, Cupertino, Los Gatos, Saratoga, and Monte Sereno. The Water Pollution Control Plant has the capacity to treat 167,000,000 gallons of wastewater per day. It is located in Alviso, at the southernmost tip of the San Francisco Bay. Originally constructed in 1956, the Plant had the capacity to treat 36,000,000 gallons of water per day and only provided primary treatment. In 1964, the Plant added a secondary treatment process to its system. In 1979, the Plant upgraded its wastewater treatment process to an advanced, tertiary system. EBDA is a joint powers agency of five local agencies in Alameda, CA which was formed to collectively manage the wastewater treatment and disposal of the member agencies listed below. EBMUD’s mission is to manage the natural resources with which the District is entrusted; to provide reliable, high quality water and wastewater services at fair and reasonable rates for the people of the East Bay; and to preserve and protect the environment for future generations. EBMUD supplies water and provides wastewater treatment for parts of Alameda and Contra Costa counties on the eastern side of San Francisco Bay in northern California. EBMUD is a publicly owned utility formed under the Municipal Utility District Act passed by the California Legislature in 1921. EBMUD’s water system serves approximately 1.3 million people in a 325-square-mile area extending from Crockett on the north, southward to San Lorenzo (encompassing the major cities of Oakland and Berkeley), eastward from San Francisco Bay to Walnut Creek, and south through the San Ramon Valley. Our wastewater system serves approximately 640,000 people in an 83-square-mile area of Alameda and Contra Costa counties along the Bay’s east shore, extending from Richmond on the north, southward to San Leandro. Veolia Water North America Operating Services, LLC 601 Canal Blvd.